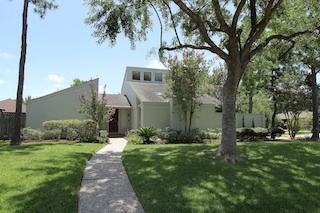 Beautiful updated home in Energy Corridor – too many updates to list see upgrade sheet. Hardwoods, tile, granite tops, new fixtures, new hardiplank, gutters, driveway, recent zoned Air Conditioner and heater, double pane french doors in dining area and master retreat lead to nice shady covered patio. Huge master retreat with Brazilian wood floors. Master bathroom totally remodeled with huge shower and jetted tub. Gameroom upstairs looks over to large family room with wet bar that leads to dining area and kitchen. Nice and bright with tons of windows and skylights.